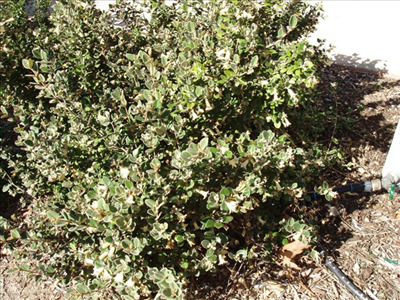 Fast growing cream flowering shrub for dry shady locations or full sun. Hardy to frost and extended dry periods once established but the root system does not like to get too hot so mulch well. (Correa alba x Correa backhousiana) Useful plant for growing under oaks and as a low screen.